There’s almost always a need jot something down. 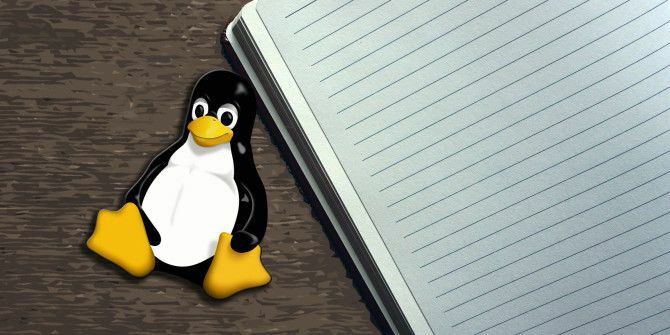 From long form articles to grocery lists, note taking Productivity on Linux: 7 Apps for Note-Taking Productivity on Linux: 7 Apps for Note-Taking Here are seven different applications you can use to write notes and increase your productivity in Linux. Often there are web versions available, but we'll instead focus on alternative desktop applications you can use. Read More is universally necessary. Thanks to modern technology, devices replace pen and paper, perpetuated by notepad apps with sync features. Evernote remains one of the most popular and widely used apps, but isn’t available for Linux. Thankfully, there’s no shortage of superb notepad options that sync across multiple devices. Check out what we think are the top eight notepad apps for Linux. NixNote is one of the best note taking apps for Linux. Packed with features, one of the highlights is its compatibility with Evernote 5 Interesting Third Party Evernote Clients For Linux & Mac 5 Interesting Third Party Evernote Clients For Linux & Mac Evernote is a fantastic app, but there's no official client for Linux. Don't worry — you can use one of these third party alternatives instead. Read More . NixNote synchronizes with Evernote servers, which promises access across almost any operating system. I really enjoyed the balance of options and simplicity. As a comprehensive notepad, NixNote maintains a clean interface. Probably my favorite aspect is the tagging, as it helps me keep track of my various writings. For instance I can sort pieces by topic and publication. Local data caching, local-only and synced notebooks, as well as locally encrypted database options make NixNote a viable option for Linux users. Everpad stands apart Everpad: The Best Evernote Client For Ubuntu [Linux] Everpad: The Best Evernote Client For Ubuntu [Linux] Get quick access to Evernote in Ubuntu. Whether you want to quickly pull up your latest note from the system tray, search every note in your archive from the dash or browse your notes from... Read More as a unique program. Because it’s optimized for Unity, Everpad is a fantastic choice for Ubuntu users. Like NixNote, Everpad supports lots of Evernote features like notebook stacks and tagging. However, Everpad technically is not even an app. Rather, it’s an app indicator with a Unity lens. As an integration with Ubuntu, I liked the layout, and install was pretty easy. A neat touch: with Unity, I even enjoy searchable results. So I can search by tag, text, or title. This distinction shapes Everpad as a phenomenal, lightweight yet capable means of syncing with Evernote. If you’re using Linux, chances are you love the command line. Don’t love the command line but use Linux? You’ll likely come to adore it, whether from regular use or Stockholm Syndrome. Geeknote takes the notepad and jams it into the command line. So what can you do with Geeknote? Well, sync with Evernote, a much-appreciated feature. You can read notes from the console, and search your Evernote for notes, exporting them to the console as plain text. Further, Geeknote brings the power of editing with vim, nano, mcedit, etc. While I do utilize the command line (a lot), I found Geeknote overkill for my purposes. Most of my writing consists of articles, grocery lists, or ever-expanding film and book suggestions. Although I really love the idea of Geeknote, I admittedly prefer a bit more eye candy for my notepad apps. Still, if you’re seeking a lot of functionality, Geeknote is for you. Gsync lets you sync local directories with Evernote notebooks, something I don’t require on a daily basis, but a sysadmin might. Ultimately, Geeknote remains a fantastic choice catered to those with, well, geeky missions. Simplenote (which we’ve previously featured Simplify Note-Taking & Sync Notes Everywhere With Simplenote Apps Simplify Note-Taking & Sync Notes Everywhere With Simplenote Apps Simplenote and its ecosystem of apps for every platform toss all the superfluous features found in competing note-taking programs and focus on the ones that matter. 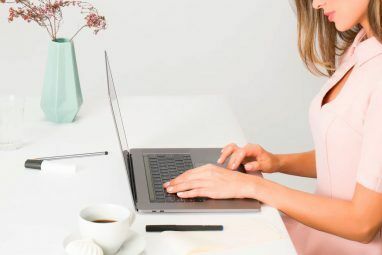 All Simplenote apps sync effortlessly, with minimal interfaces that... Read More ) brands itself as “light, clean, and free.” It’s really one of the best choices for a note taking application. Because of its wide-ranging compatibility, there’s almost guaranteed access across your entire array of devices. Native installers are available for Linux, Android, iOS, Mac, Windows, Kindle Fire, and there’s a web app. Further, Simplenote offers both DEB and TAR installers for Linux. The sync feature is fantastic, but the organizational tools make Simplenote simply amazing. Tagging features and a hefty search functionality mean ease of access to your catalog of notes. What’s more, Simplenote includes version control. Your notes get backed up, and there’s an easy version slider to revert to a previous iteration. I loved the clean layout. Simplenote reminded me a bit of Google Docs with its modern interface. However the editor didn’t feature as many formatting options as I would have preferred. It’s not a bad app at all, but it’s more suited to quick lists or notes that don’t require hefty formatting. With its beefy feature set and clients for a smattering of platforms, Simplenote is a best bet for note taking on Linux. Or most other platforms for that matter. Appearance may not be everything, but a strong user interface (UI) goes a long way. Springseed’s minimalist UI lends ease of access. But while the layout may be simple, it’s stacked with functionality. You can categorize notes into subsections, for instance code snippets, personal notes, work. There’s even code syntax support. What I appreciate the most about Springseed is the full markdown support. Since I so much of my writing is online, I often keep HTML backups or fiddle with HTML using an editor. This way there’s a nice find and replace feature, and Springseed is an excellent means of saving my markdown or code snippets for my website and having them synced across my devices. Sync comes by way of Dropbox, an optional feature. GNote is an awesome note taking application. A port of Tomboy to C++, it’s loaded with features and plugin support. You can access notes across your Linux devices with sync functionality, and there’s a neat Wiki-style linking system GNote: Take Notes & Create Your Own Personal Wiki [Linux] GNote: Take Notes & Create Your Own Personal Wiki [Linux] Organize your life with your own private wiki. GNotes is a simple Linux note-taking app that allows you to quickly link one thought to another, turning your research or journaling into an inter-weaving database that's... Read More . Words in the body of a note matching existing titles become hyperlinks thus making for easy management of information. My favorite aspects of GNote are the Wiki-esque linking and the ability to add links as well as sort into notebooks. I’ve developed naming conventions for almost everything (you should see how organized I keep my music and film collections), and writing is no different. GNote allows me to put notes into buckets, and while the interface seemed a bit dated to me, its minimalist approach cut the clutter. Plugins include Bugzilla links, printing capabilities, and a Tomboy importer. Overall, GNote is a solid note taking app. While it’s certainly excellent for short form writing, the linking system makes it superb for long form as well, particularly if you’ve got a large catalog of writing, as the wiki linking system is truly wonderful. Looking for a great notepad? Check out Etherpad. The open source project offers real-time collaboration support. You set up a pad, or collaborative document, in Etherpad. Each pad has a unique URL which can be shared. Like Google Docs, if there are multiple users, each is identified by a name and color. I had a blast using Etherpad. It’s like Google Docs with its real-time collaboration, and the UI offered more in the way of formatting. As most of my writing requires format tweaks, Etherpad quickly became my go-to. Plus, I like the auto-save and ability to share content without having to install a client. We’ve all had that crushing experiencing of losing a document. Etherpad kindly includes an auto-save feature, and there’s of course a manual save option as well. Linux, Mac, and Windows clients are available and since pads are URL shareable, it’s available across virtually any device. nvPy — which we looked at in 2012 — is an open source version of Notation Velocity for Mac. It’s pretty barebones, but the simplicity lets you do what you need to do: write, edit, and sync. nvPy syncs with Simplenote, and there are auto-syncs to save progress iteratively. 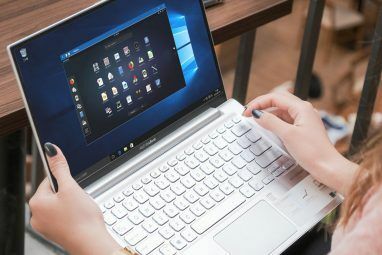 Available on Windows and Linux, it’s a lightweight program that lends a snappy experience and once it’s up and running nvPy is extremely simple to use. While this is not a major hassle, it’s still an extra step. I really appreciated offline access, especially when writing at a coffee shop with unreliable internet, and the markdown rendering was great for editing a bit of HTML. My only complaint is that I had to create the .cfg file, but I probably spent more time grumbling about it than it took to create the file. nvPy does have a solid feature set that I liked, namely the offline support and markdown, so the basic editor didn’t really bother me. So, that’s an impressive eight notepad apps you could be using (or might have already tried) on Linux. It’s a collection that covers a wide selection of features: basically, there’s something here for everyone. Now it’s your turn: what notepad are you using to sync on Linux? Give us your suggestions in the comments! Explore more about: Linux, Notepad, Text Editor.